There’s so much written on the web about choosing between an LLC and a corporation. 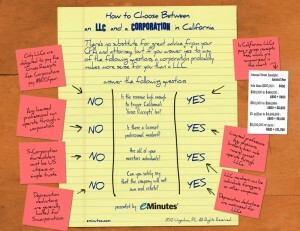 Far too often, entrepreneurs are unaware that LLCs and corporations are very different. Although virtually the same from a liability protection standpoint, LLCs and corporations are extremely different from a tax standpoint. We’ve attempted to make the choice easier with this info-graphic. We use LLCs as the entity of last resort, because of the extreme junk fees – called the “Gross Receipts fee” that apply to LLCs (but not to corporations) in California. 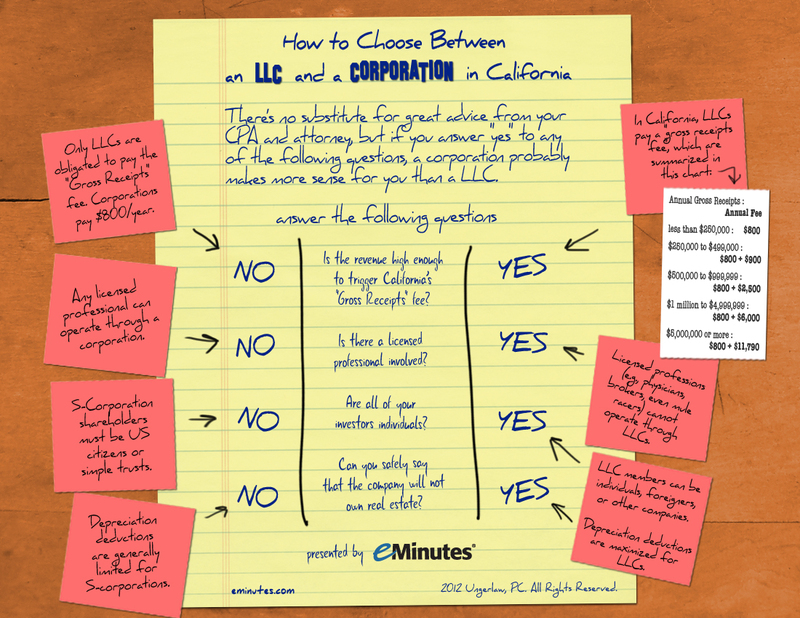 In California, the initial $800 franchise tax is waived for corporations, but not for LLCs. LLCs are best where the company will own real estate. S-Corporations are best except where the corporation will have shareholders who are foreigners or other companies.